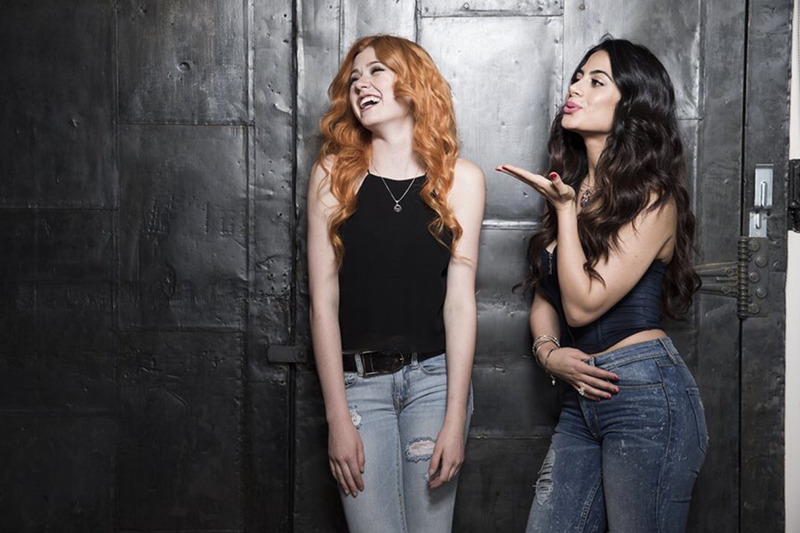 Clary and Izzy. . HD Wallpaper and background images in the Shadowhunters TV montrer club tagged: photo tv series cast shadowhunters katherine mcnamara clary fray emeraude toubia izzy isabelle lightwood. This Shadowhunters TV montrer wallpaper might contain pantalons longs, des pantalons longs, and pantalon long.